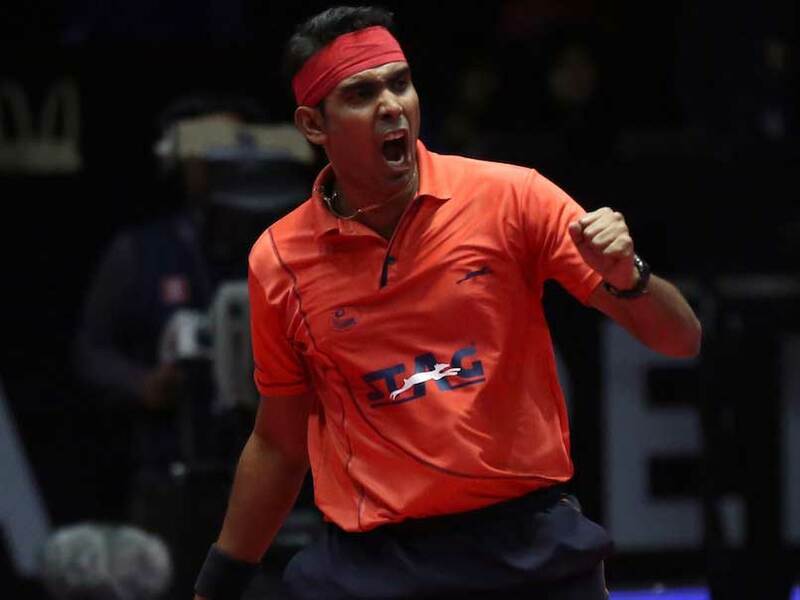 Achanta Sharath Kamal entered the men's singles semifinals of the India Open on Saturday. 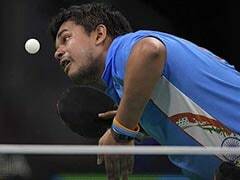 India's Achanta Sharath Kamal pulled off a nerve-wracking 4-3 victory against sixth seeded Paul Drinkhall of England to surge into the semifinals of the 2017 ITTF World Tour India Open at the Thyagaraj Stadium in New Delhi on Saturday. 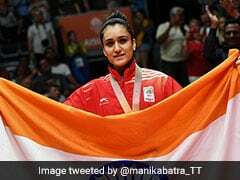 The seven-time national champion and World No.62 had to pull out his prime defensive game to outwit and outlast Drinkall, a multiple medal winner in the last two Commonwealth Games. It proved to be a battle of nerves and patience as Drinkall slowed down the pace, keeping the ball short while also loading it with spin. He wasn't allowed to play his natural, attacking game and had to rely on each other's errors to win every point. Sharath began on a strong note, racing away to a 11-4 win in the opening game. But Drinkhall quickly got his game together and frustrated and stunned Sharath with his well thought out tactics. He won the next two games 12-10, 11-9 to put the pressure entirely on the Indian, who had the full backing of a big crowd. The 34-year-old Sharath began to look for openings to attack from that stage and came back strongly to win the next two games 12-10, 11-9. He jumped to a 3-0 lead but allowed Drinkhall to catch up. He went up 6-4 but then conceded four points to lose the psychological advantage. Drinkhall rode on the momentum to take the sixth game and place the match on the needle. By now, the crowd was on the edge even though he made a strong start in the decider, going up 2-0 and then 3-1. But Drinkhall fought back and took a commanding 8-5 lead. Sharath continued to attack and it helped him get stay in the contest. He saved two match points and a couple of forehand drives saw him emerge triumphant. He takes on Japan's 14-year-old sensation Tomokazu Harimoto, who beat the eighth seeded Robert Gardos of Austria 4-2, later. Earlier, top seeded Ovtcharov Dimitrij survived a scare to advance to the semifinals after a gruelling 4-3 victory over Yuya Oshima of Japan. The World No.5 German, who came into the match without dropping a game, could not get the desired start and lost the opening game 7-11. He regained his composure to win the next three games 11-8, 11-6, 11-8 to move into a strong position. Down 1-3 and staring at the bottom of the barrel, the 39th ranked Japanese upped the ante to take the next two games 11-4, 11-6 to restore parity. With the scores tied, both the players displayed great tenacity and got involved in a neck-and-neck battle. However, it was the German who prevailed 12-10 to move into the last four. He will now take on the third seeded Koki Niwa of Japan, who sealed his berth in the semis by registering an easy 4-1 victory over qualifier Tianyi Jiang of Hong Kong. In women's singles, eighth seeded Wing Nam NG of Hong Kong beat Goergina Pota of Hungary 11-9, 11-6, 12-10, 8-11, 11-3 to set up a semifinal clash against sixth seeded Sakura Mori of Japan, who beat Tze Wing Mak of Hong Kong 11-6, 13-11, 10-12, 11-6, 11-7.